Zecter has today officially launched its new Zecter Connect proposition which provides integrated contact strategies for the legal sector. Integrated contact strategies support legal providers on a range of challenges from helping to answer calls, enhancing customer experience, responding to new enquiries, improving conversion and re-engineering the delivery of legal services to reduce end-to-end costs. Working closely with organisations, Zecter Connect can tailor the service delivery formula to support the build of internal capabilities or assist businesses wanting to buy outsourced services. Johan Ismail, a director at Zecter commented, “The demand for good quality, professional legal services remains high. 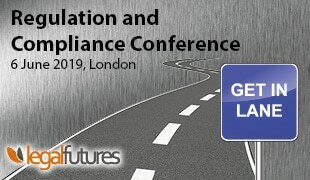 At the same time, the legal market is becoming increasingly competitive with the growing demands on legal providers to secure more business, whilst reducing the costs in delivering legal services”. “The Zecter Connect proposition applies a combination of business process methodology and legal experience to develop a core of five contact support modules that include a back office extension into elements of legal case work. “Our Contact Point and Client Capture support solutions are generating interest as an entry point for an affordable and cost effective solution to help legal providers answer and respond to telephone enquiries and online leads. “Our Legal Process Support services include a range of administrative options such as digital mailrooms, for law firms to gain the benefits of an ‘electronic legal file’. 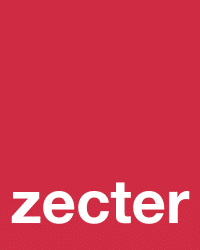 Joe Simpson, Chairman of Zecter, said “Zecter Connect offers legal providers and other regulated professionals the option to focus on their core business, whilst leaving low or non-fee earning activity to a team of external experts. Zecter has already been trialling its Connect proposition for several months with a number of legal providers who are already seeing the benefits of the service. If you would like to discover the power of an integrated contact strategy, talk to Zecter and explore your options. To contact Johan Ismail, email johan.ismail@zecter.co.uk. Alternatively please call 0333 207 6551 to book an appointment or visit our website at www.zecter.co.uk.